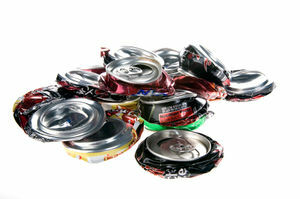 We all should do our part in recycling, especially since today is Crush a Can Day. If you are living green, you probably crush cans everyday. Or if you're a kid, you probably are crushing them in your bicycle wheel everyday. If these aren't you, then take this day to crush some cans. Drop them off for recycling in exchange for money, donate them to the local recycling committee, or the nearest kid could always use a new one for a quick game of kick the can. This page was last modified on 30 August 2013, at 09:18.